Morning Quilt by Louisa Loakes, a large linen quilt with hand block-printed pattern and yellow cotton detailing. 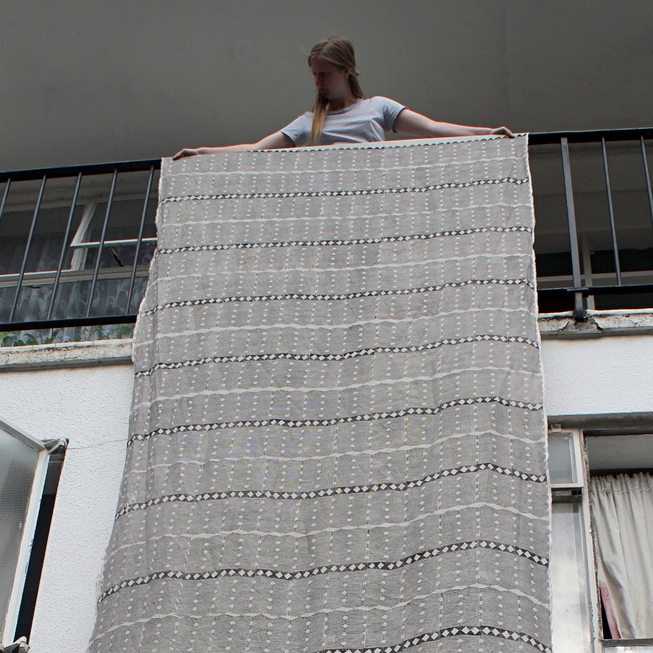 This quilt by London textile artist Louisa Loakes have been hand-block printed. A design is carved into a block of wood or linoleum, dye is applied and then pressed into the fabric. This process is repeated to create a repeat pattern, Louisa then adds hand painted details to give each piece its own unique character. Made in linen with yellow cotton. Dimensions: Approx Height: 200cm, Width: 145cm. Care Instructions: Cold hand wash or dry clean.